I love this time of year when I start to notice weird and wonderful fungal brackets growing on trees. Each bracket is different from the last and there are literally hundreds of different fungi growing on all species of tree across the world. 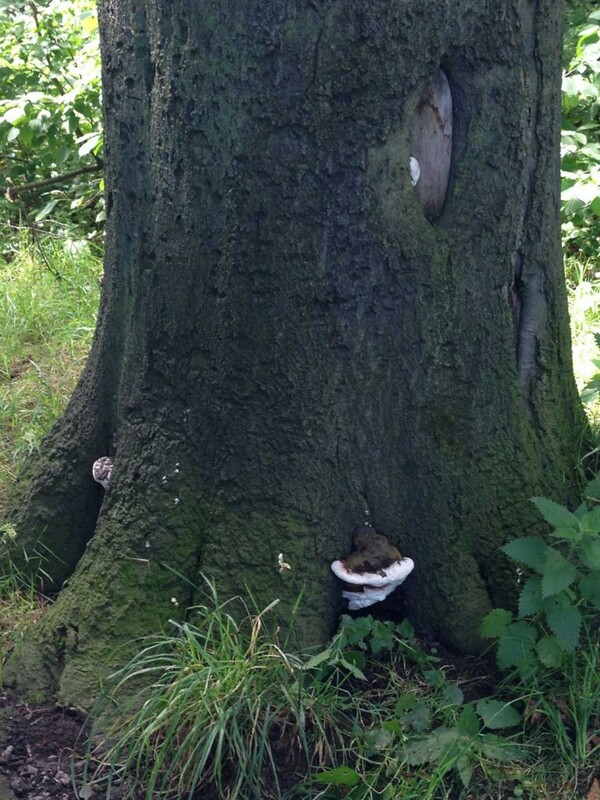 In the UK we have some common fungi I see often growing on mature trees. Each fungi has a significance and its important to know what this significance means. Today I inspected a species of tree in Heaton Park, Newcastle upon Tyne, which I have been currently unable to identify. 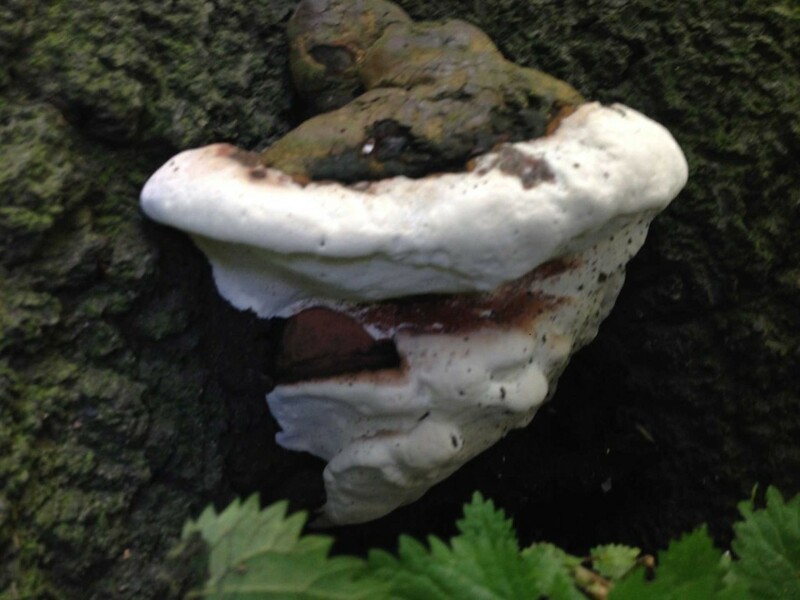 The fungal brackets growing on this tree are Ganoderma australe. This is also known as Southern bracket. Ganoderma australe is a woody, parasitic fungal bracket attacking Beech, Horse Chestnut, Birch, Eucalyptus and many other broad leafed trees. The flesh inside is thick, hard and felt-like opposed to Ganoderma applanatum which is brittle. (The two are difficult to differentiate until dissecting the bracket). As shown in the photos, this fungi generally grows at buttress level and so easy to discover. However it can also be found in the main stems of trees several metres above the ground and on major limbs. The fungus in the photo is in active growth and so the pore layer underneath stands out a brilliant white. Ganoderma australe is perennial (enduring or continually recurring). It has the ability to grow in to previously sound sapwood causing further decay. When advanced and extensive, the decay can result in the failure of the stem at the base of the tree. There are generally at least 2 factors that cause the failure of a tree. So in this case, the decay caused by Ganoderma australe coupled with high winds may cause this tree to fail in the future. 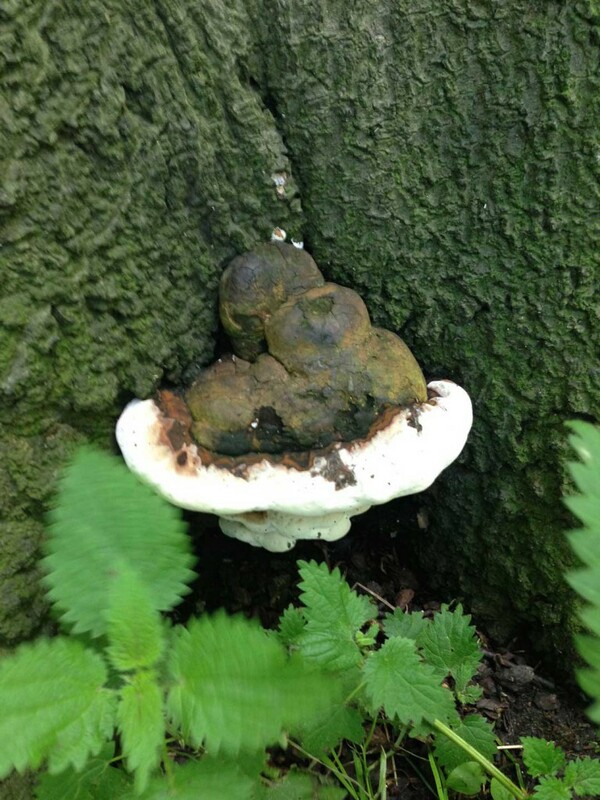 So if you’ve noticed any interesting looking fungi on your trees and would like us to conduct an inspection, e-mail us with a photo or give us a call. We love being tree detectives.